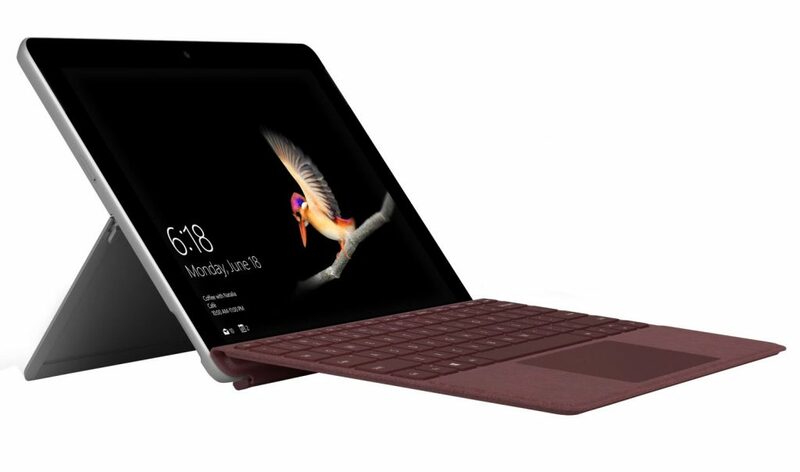 Microsoft today has launched the Surface Go 2-in-1 with a 10-inch display. It is a smaller version of the Surface Pro design with an integrated kickstand and runs on Windows 10. It sports a 10-inch (1800 x 1200 pixels) displaywith a 3:2 aspect ratio, custom-built high-resolution PixelSense Display that supports Surface Pen with 4096 levels of pressure sensitivity, low pen parallax, low latency, and precision for accurate note taking, drawing and computer-aided design. It comes with Microsoft’s proprietary Surface Connector port for charging and connecting to a desktop dock. It is powered by the 7th Generation Intel Pentium Gold Processor 4415Y and packs up to 8GB RAM and 128 GB SSD. The Go also comes with an optional keyboard cover. The company claims that the Go offers up to nine hours of battery life on a single charge. It runs on Windows 10 with S mode enabled by default. But users can switch to a full version of Windows 10 for free if they want. Connectivity features include Surface Connect for charging and docking; USB-C 3.1, a headphone jack; and a MicroSD card reader for storage expansion. The full friction hinge extends to 165 degrees. It also comes with Windows Hello camera that allows for quick, and secure sign-in using face recognition. The Microsoft Surface Go is now available for pre-order in India from Flipkart. Globally and in India, it’s encouraging to see the rapidly growing Surface community in both consumer and enterprise. What began as a ‘tablet that can replace your laptop’ has now grown to encompass a dynamic family of products, each designed to accommodate unique sets of customer needs and redefine what a PC should be. Surface Go is our answer for users who are looking for a portable and versatile device that suits their budgets, but without compromising what they have grown to love about our line-up. The Surface line-up embodies Microsoft’s mission to empower people to do more.